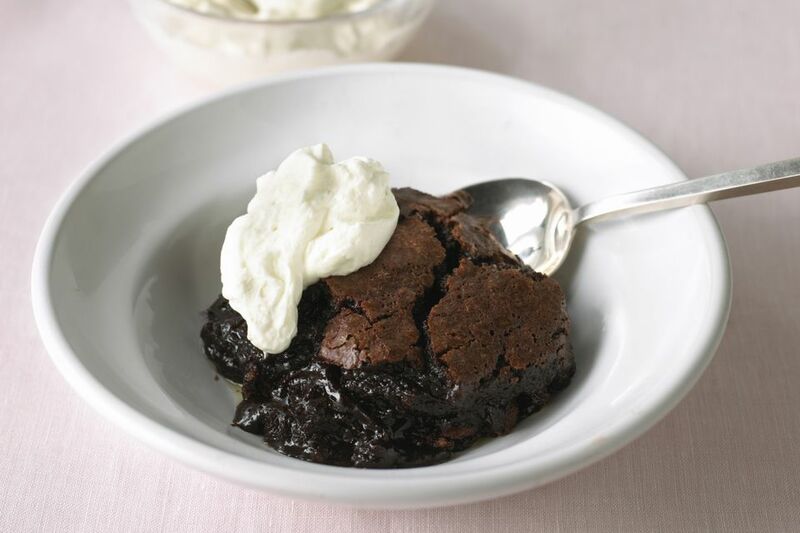 This gooey chocolate pudding cake is a snap to mix and cook in the slow cooker. Top it off with whipped cream or serve it warm with a scoop of ice cream and some extra fudge sauce. For a larger slow cooker, use a casserole dish or souffle dish that will fit in the crock. Just cover bake the cake in the slow cooker as directed. Grease the crockpot interior or spray with non-stick spray. Mix all ingredients together in a bowl until well blended; transfer to the slow cooker. Cover and cook on LOW for 6 to 8 hours. Do not lift the lid. Tip: Try this with low-fat cake mix and sour cream. It is VERY rich, so be sure to have some ice cream in the house. A little goes a long way. Keeps in fridge for a while. Just heat and serve." *Use a neutral flavored oil in the cake, such as canola, safflower, or corn oil.